Last Saturday was my third visit to Dr. Tan in Ongpin. I am not into the idea of a surgeon cutting my neck, and taking out the nodule. Yes, it’s scary, and that means another scar. Two weeks of drinking the Chinese herbs, and I felt a bit of improvement. Before I took the herbs, I feel the lump whenever I swallow. Now, I don’t feel it anymore. I am patiently waiting that the mass will slowly shrink. Maybe I’ll have another ultrasound in the next couple of weeks to see if there’s a change. This is what the herbs look like. I am advised to boil each pack two times, night and morning. I tell you the first time I tasted it was super bitter. Now that I’m on my third week, I can drink it without the ‘sour’ face. I have a friend who is also going to Dr Tan, and she says, just do what he says, and avoid the foods that he will tell you. The paper that he gave me said that I have to avoid cabbage, eggplant, and carrots. It also included another list to take into moderation. I noticed that if I have to avoid those foods, then I have to stick into green leafy vegetables. It’s the only one not on the list. I’m positive this will subside soon. hi po. are you still taking dr.tan’s herbal medicine?lumiit po ba ung nodule nyo?i am in the same situation po kasi ngayon. ang gusto ko po malaman if naging ok po kayo after.hope mabasa nyo po to. thanks. Thank you Mariqia. I appreciate your visit and like. Like your post on Chinese herbs. Hi did it make it shrink? Im interested to see him. may i know the sched thank you for the info? Anu po address nila? Punta po ako dun bukas. Thanks po. Good that you decided to visit him. Am familiar with him, been going there through the years. Many friends go there, too…just remember however, that stopping to see him when he has not declared you clean yet can have repercussions on your immune system. This is what chinese medicine does – not exactly curing but raising your over-all immunity so you don’t get sick and are actually very strong. It strengthes the main body organ casuing your disease so it’s not just the symptoms that disappear but all related sicknesses as well. He’s done what we’d consider miracle cases – of patients who have been given up on by western medicine. Particularly good with cancer and kidney cases so long as you stick with what he tells you. Particularly good pulse diagnosis skills, can diagnose even micro tumors that western labs can’t. He’s an excellent practitioner, and so is his son who practices in the same clinic with him. but do be aware also that TCM will probably not work anymore on large tumors or growths of more than 5 cm. 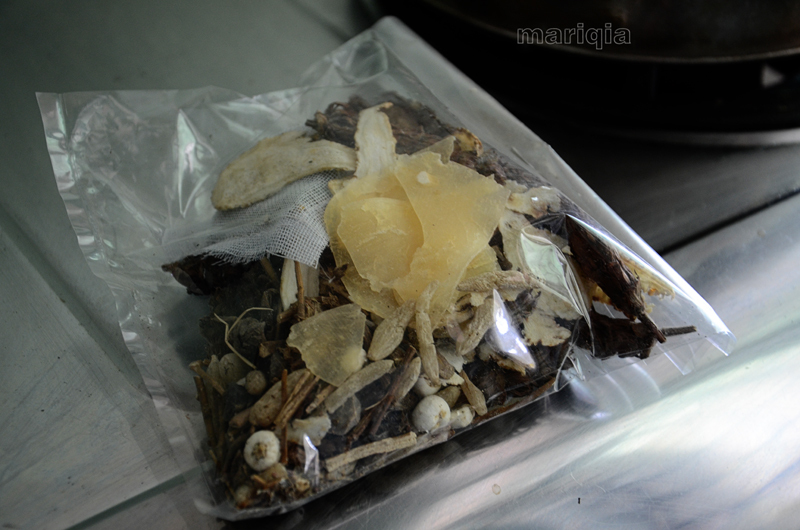 combining extraction in hospital with chinese herbal formulas will be best. I wish more patients would get to know about him, especially those in desperate situations. they are in foo-yong mansion, Ongpin near cor. Alonzo sts. Genuine TCM isn’t quackery nor just placebo effect, contrary to what many doctors and skeptics will tell you. It’s a science that has been developed through thousands of years in china. but beware of fakes also like clinics that prescribe acupuncture to almost any ailment, cashing in on its popularity Dr. Tan doesn’t do that, he himself will tell you that acupuncture isn’t a cure-all. Nag-aaccupuncture din si dr tan pero sobrang bihira, depende sa case. Pero sa majority he will prescribe herbs. The clay pot was given by my friend who also visits Dr Tan. He got it from the nearby market. Hope you can get yours. Hi I am about to see Dr. Tan this week and been told it would be necessary to boil the herbs in a clay pot. Where did you buy yours? Sis how are u now? I will visit dr. Tan soon. Do u have their contact number? Thanks. Yes sofie, the discomfort when I swallow has improved. But I have yet to go for an ultrasound again in the next few weeks to see if it’s working ‘inside’..:) I do hope it will..
Hi sis, is Dr.Tan that you are referring to, is Dr. Galvez Tan? the one who has a radio talk show? anyway, didn’t know you are sick please take care. my wife has goiter the size of “garbanzos” according to the ultrasound. tagal na din siya umiinon ng herbal ni dr tan. as we see it, di naman na lumalaki ito so she just continuos to drink the herbal na pinakulo. sa’yo ano ang developments? sabi dr tan, tyaga tyaga lang daw, tagal na inuman daw ito bago totally lumiit at mawala ang bukol sa throat. btw, may nararamdaman ka ba side effects sa health mo or kakaibang nararamdaman since u take this herbal medicine? one more thing, since nag simula wife ko uminom nito, sa kaldero lang kami nagpapakulo (yung usual na sinasaingan ng kanin, makapal at mabigat na gawa sa bakal yung mga usual na bakal na kaldero nabibili sa palengke)….ano daw kaya harm if sa ganito ka nagpapakulo at hindi dun sa palayok or porcelain pot….di ba kasi kami nakakabili ng clay pot e? Dapat claypot gamitin mo. Mag-rereact ang herbs pag metal. 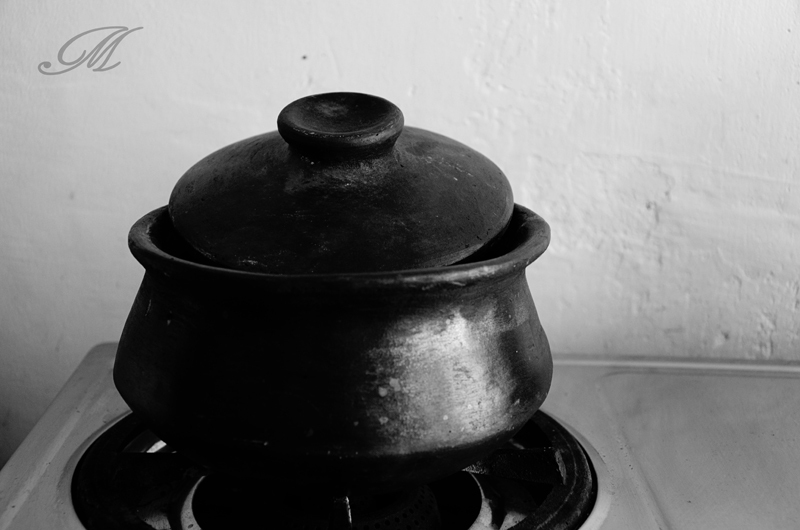 Ang bilhin mo claypot yung meron funnel para buhos na lang direcho sa baso ( ceramic, glass, porcelain) Wag gagamit ng plastic. We have clay pot for medicine herbs. Our store is 176 carlos palanca st quiapo. Walking distance lng sa ongpin street. I hope this works. I will pray. I really like your photos. i hope this chinese remedy will work. in the past, i’ve also tried acupuncture and cupping to deal with pain; they worked great on me. praying for you to get better.